We use the latest CAD (computer aided design) program for intricate jewellery designs. Our designs are the only part of our business where consistency is not a virtue. 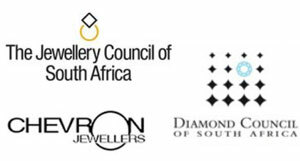 The quality of each manufactured piece of jewellery is guaranteed, and the total satisfaction of each and every client is of the utmost importance. Nothing is left to chance, and every step is carefully planned and executed. Our extensive variety of prototype rings allow you to see and feel the different ring components and styles. This process help you to create an idea unique to you. From here our designers will take over. Being fully aware of the sophistication of our well-traveled and well-read customers, we strive to bring you the newest and latest in upmarket jewellery and specialised services. Please feel free to contact us for a quotation on any of our ring designs or if you are feeling creative and have something of your own in mind, let us know as we would love to go on this journey with you to make your vision a reality. One meeting... Just picked out a few costume jewellery pieces to show what style I like and Francois designed and made my ring better than I ever would have imagined. Beautiful custom jewellery, helpful staff and jewellery for all ages.